Who is Exempt from Florida’s No-Fault Laws? Florida’s no-fault law is one of the more controversial insurance systems in the country. In fact, just this year the State Legislature overwhelmingly voted to repeal it in the House. The repeal died in the State Senate, however. Therefore, it remains the law for now. 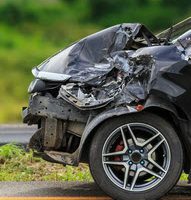 The law is designed to make sure that every driver carries at least $10,000 in personal injury protection (or “PIP”) to pay for their own injuries after a car wreck. But there are exceptions to the rule. In certain cases, an injured person can directly sue the other driver who causes their injuries, without first going through their own insurance. Pedestrians are not required to file a claim with their PIP insurance carrier if they are struck by a motorist. There are good reasons for this. For one, a pedestrian may not necessarily even own a vehicle. Many people who live in major cities may use public transportation or simply walk. Therefore, it would be unfair to force them to carry auto insurance. Those who are injured while riding a bicycle, skateboard, or other non-motorized mode of transportation are treated the same as pedestrians for the purpose of filing an insurance claim. They do not need to carry PIP, nor do they have to file a claim with their own insurance company in order to be compensated. Of course, it is probably worth mentioning that if the driver who injures you is uninsured, you may be left uncompensated unless you carry sufficient uninsured motorist coverage. In recent years, some insurance companies have begun underwriting policies for city dwellers who do not own cars but wish to be insured in the event they are injured while walking to and from work. Because of the disproportionate injuries that motorcyclists suffer in accidents, they are also exempt from PIP in Florida. 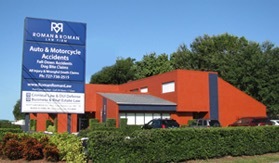 If a car strikes a motorcyclist, the motorcyclist does not need to file a PIP claim in order to directly pursue the at-fault driver for his or her injuries. Sometimes a passenger is injured, only to discover their driver was uninsured. Passengers are not required to always carry auto insurance. After all, a passenger may not even own a vehicle. Therefore, there are situations where the injured passenger may be able to immediately pursue a claim against the negligent party. If the victim was on the job at the time of the injury, then his or her personal insurance may not be implicated. This is because the person may need to file a workers’ compensation claim to be compensated. If the injury occurs in Florida, then our state’s laws will apply. Of course, there are limits to how this can happen. If your injury happens in another state, that state’s laws will usually apply. Most other states do not use a no-fault system; therefore, out-of-state drivers will usually not carry PIP. Depending on the type of insurance the out-of-state driver carries, there can be a wide range of outcomes. If the driver is also from a no-fault state, such as New York or Michigan, then the process is generally about the same as two Florida drivers. But if the out-of-state victim is from a state without no-fault laws and is injured in Florida, there are a number of questions that must be resolved. Did the out-of-state driver carry medical payment insurance or PIP? What policy provisions are in the out-of-state driver’s insurance contract? 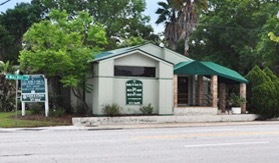 Each case is unique, so it’s important to speak with an experienced Florida auto accident attorney right away. 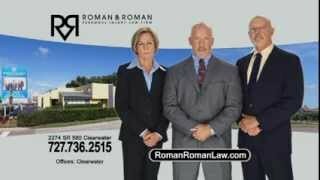 Time is limited for pursuing a claim for compensation, so call Roman & Roman, P.A. 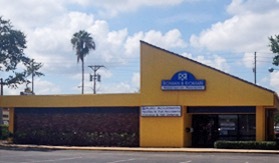 today to schedule a free consultation with one of our Tampa injury lawyers.